Wow. 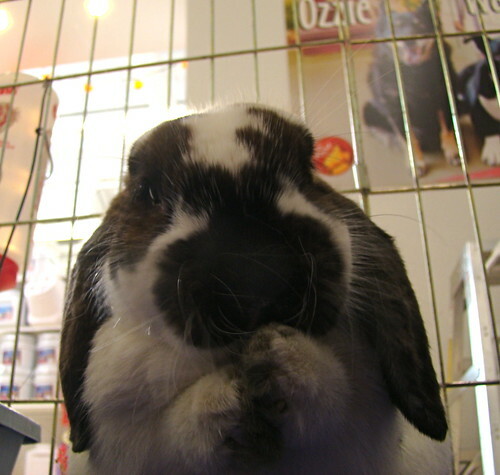 Winston is a really great little bunny and we meet a lot of bunnies! 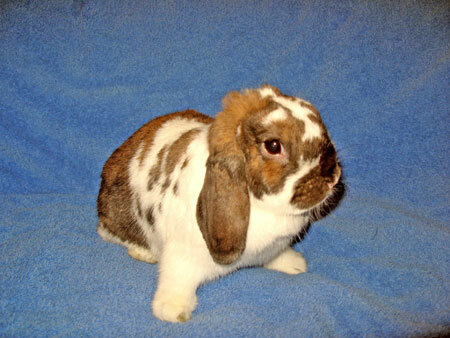 He is a gorgeous, super sweet, loving and smart neutered Holland lop boy. Winston is such an incredible rabbit that it's really hard to imagine why someone would abandon him at the San Francisco animal shelter. When I met Winston at San Francisco Animal Care and Control I was struck by his ability to connect with me at a deep level. Though at first he held back a bit, and who can blame him after being left at the shelter, he approached me, licked my fingers and made it clear that he was ready for a fresh start at SaveABunny. I have to admit that I actually have a bias for "less than perfect bunnies", so it was a hard decision to take a seemingly "perfect looking bunny", like Winston into rescue when he appeared so adoptable. However, the truth was that the shelter was very overcrowded and tough choices needed to be made about who came out into rescue. Winston made it really clear he wanted to come with me. It took me 4 hours to select 4 rabbits out of 14 to come into rescue and it is not a choice I want wish on anyone, since it is unknown if space and resources will become available to help the ones left behind. 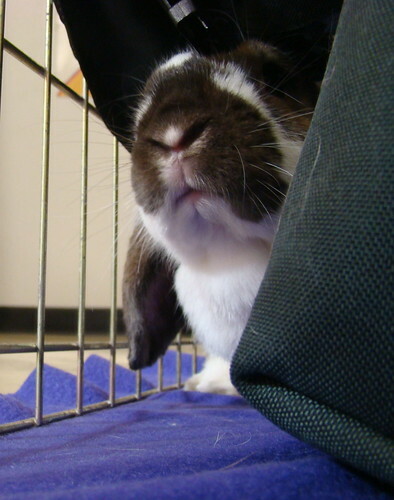 We have to rely on foster homes and adoptions to make room for new rabbits that always need our help. Anyway...Winston is truly a special boy with his "butterfly" markings on his head and back that apparently means a lot to people who breed or judge rabbits based on their looks. Looks and "breed purity" are not important to us at SaveABunny, but as the old saying goes: "If you've got it, flaunt it". Right? Winston is a real doll. He is ready to find a home of his own. Please meet him soon!